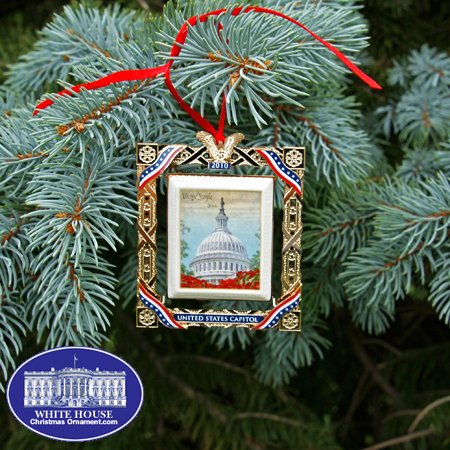 The White House Ornament Collection presents the 2010 US Capitol Marble Framed Dome Ornament. On the lawn of the West Front of the United States Capitol, the Capitol Christmas Tree has been lighted annually since 1964 to celebrate the Christmas holiday season. The first tree, a live Douglas fir, was displayed at the request of then-Speaker of the House John W. McCormack. This striking, unique ornament will make a welcome addition to any holiday festivity. Marble from the restoration of the West front steps in 1995 is crushed and used in the resin to manufacture this ornament. The US Capitol has housed the members of the Senate and House of Representatives for more than two centuries and counting. 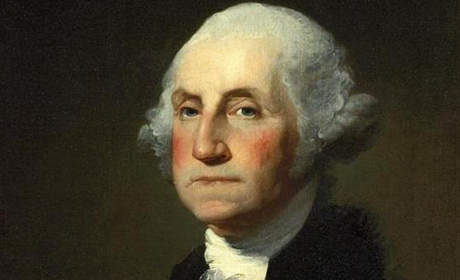 Construction started in 1793 and since that time the Capitol has been built, burnt, rebuilt, restored and expanded. Since 1854 every member of Congress has walked the steps of the Capitol building � some 9,000 strong. Ornament is finished in 24 karat gold.